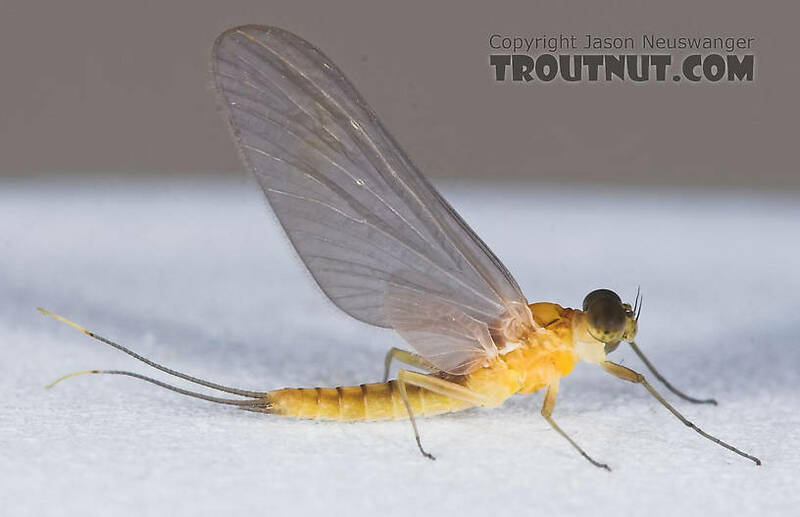 This pretty little dun was part of a sparse midsummer evening hatch on a large Catskill river. 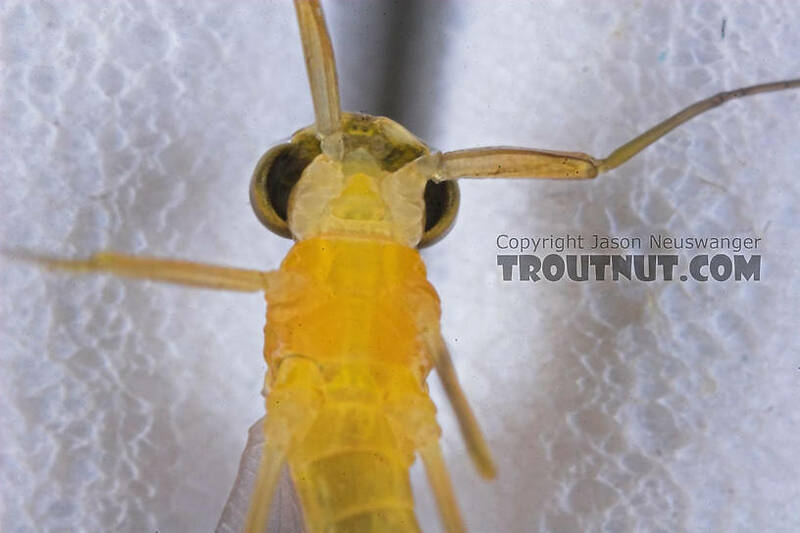 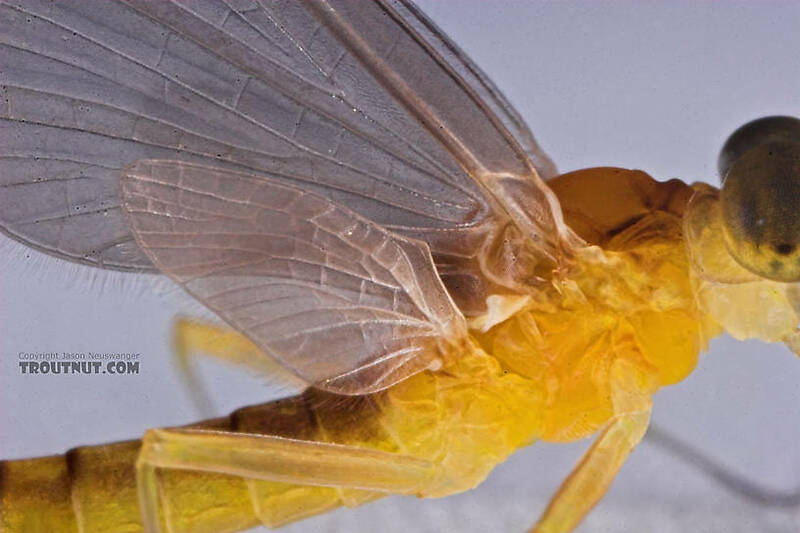 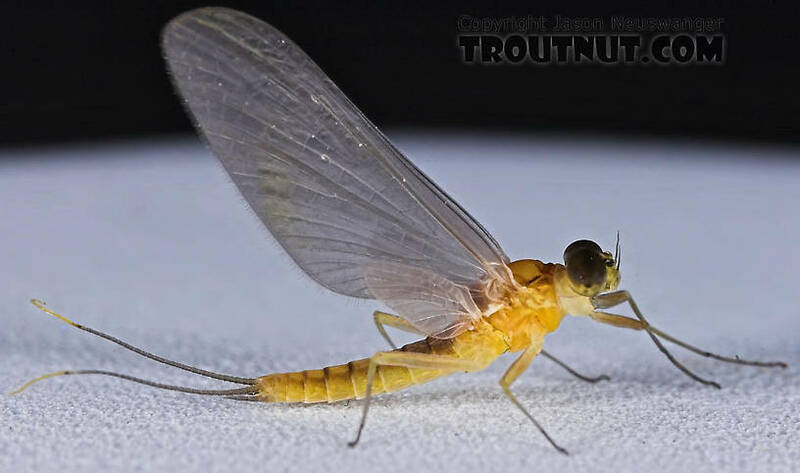 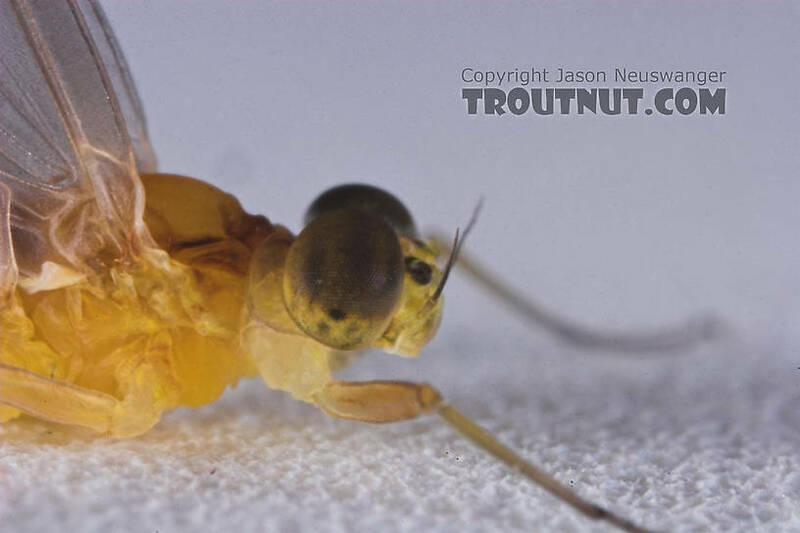 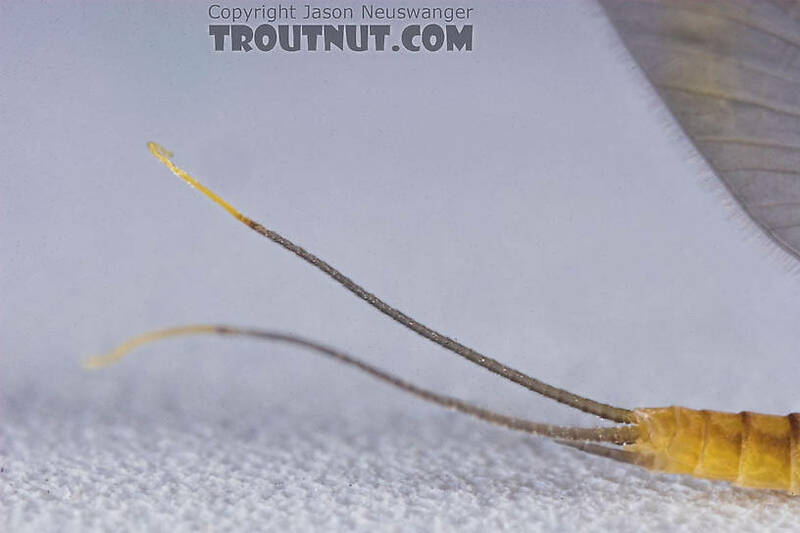 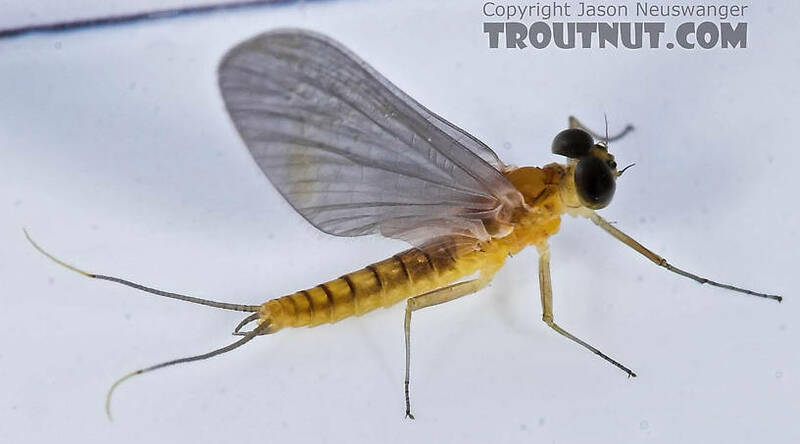 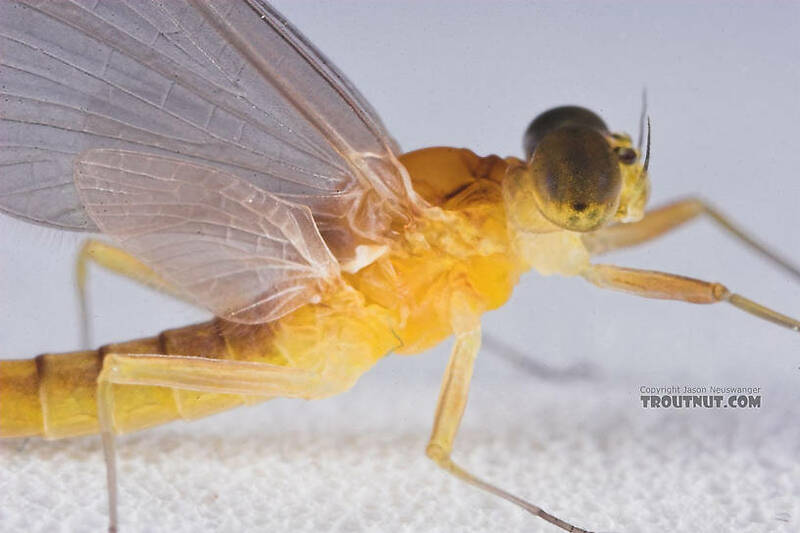 This mayfly was collected from the East Branch of the Delaware River on July 13th, 2005 and added to Troutnut.com on April 14th, 2006. 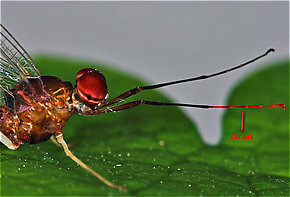 Tarsus: The often multi-segmented outer leg section of an insect, which attached to the tibia.) 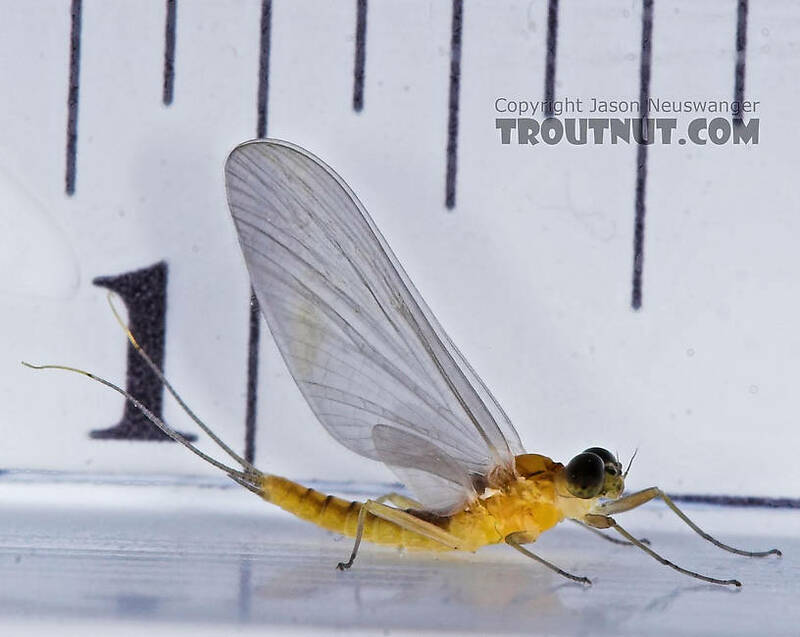 of this dun is a helpful identifying characteristics. 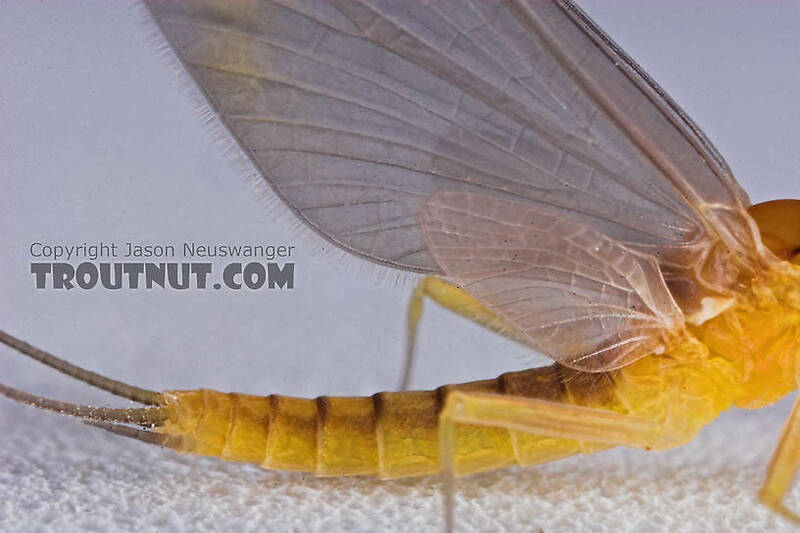 I'll have to revisit the identification on this one. 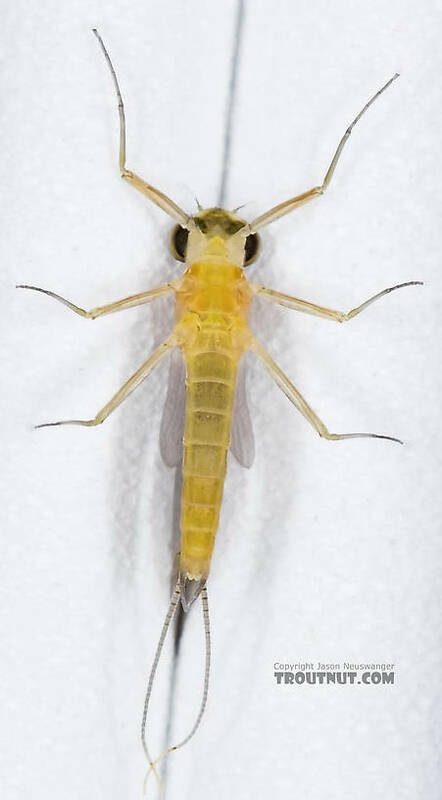 Originally the fore tarsal ratio made me think it's not Epeorus, but the unmarked wings, costal wing venation, and contiguous eyes now make me think otherwise. 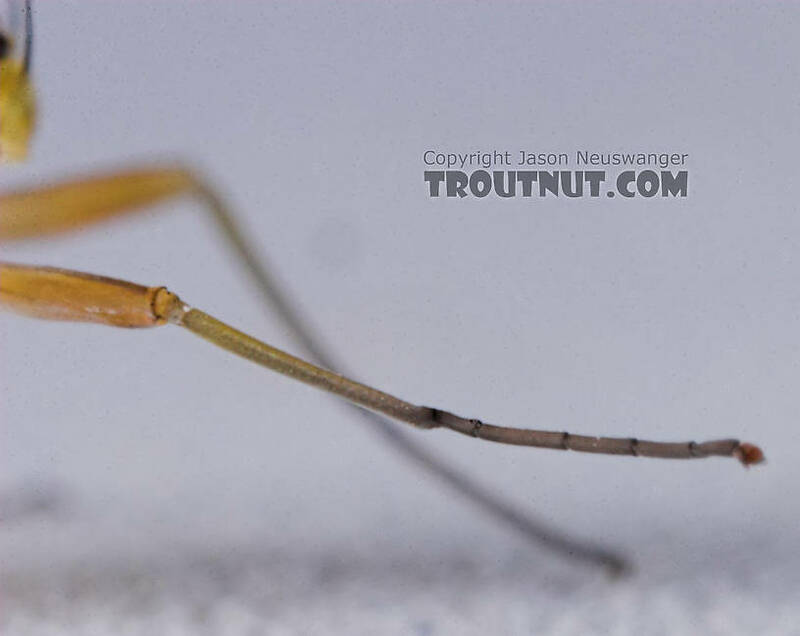 Tarsus: The often multi-segmented outer leg section of an insect, which attached to the tibia.